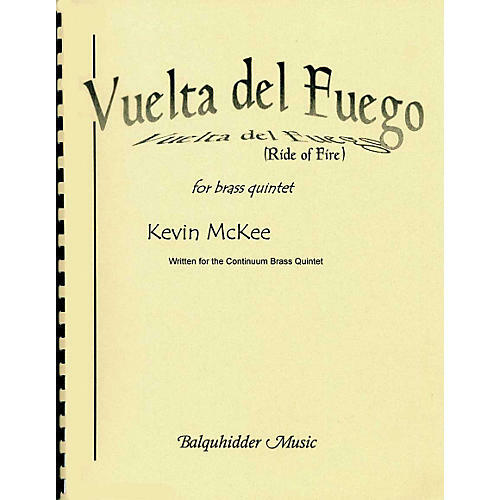 "Vuelta del Fuego" (Ride of Fire) by Kevin McKee is a sweeping and dramatic piece for brass quintet in a Spanish vein. As McKee writes: "The idea for Vuelta del Fuego came from a love of that clich Spanish/Mexican Zorro sound that mixes over-the-top romance with unabashed flair and swagger. As with Escape, my goal was to write music that is fun, exciting, and fulfilling for both the performers and the audience." Duration 7' 30".